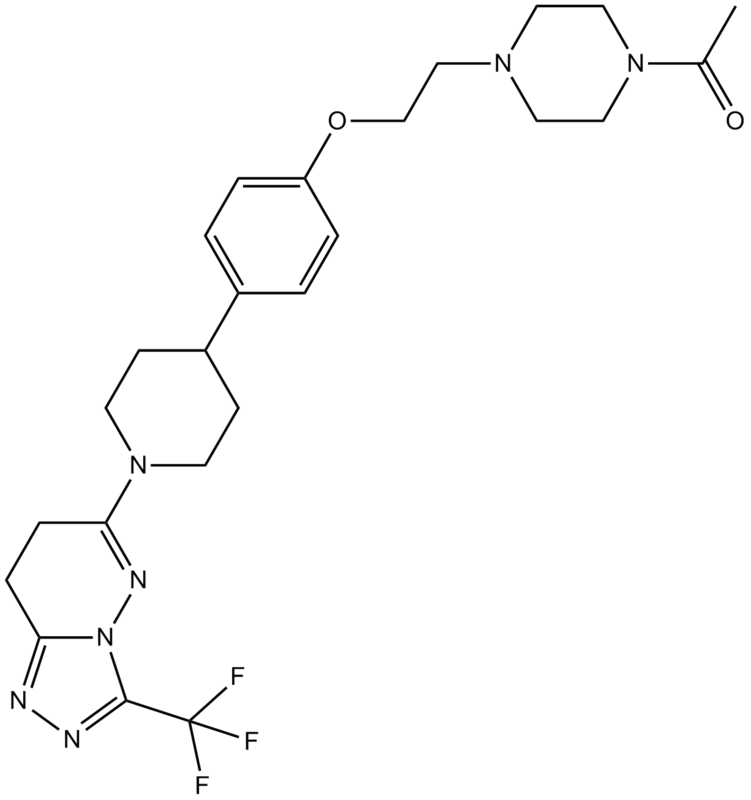 Description AZD3514 is a small-molecule downregulator of androgen receptor with Ki value of 2.2 μM. AZD3514 is a potent and oral androgen receptor (AR) inhibitor with Ki value of 2.2 μM . AR is a member of the steroid hormone receptor family and functions as a ligand-dependent transcription factor. AR signaling participates in the antiandrogen therapies . In LNCaP and LAPC4 prostate cancer cells, AZD3514 inhibited DHT-driven proliferation of LNCaP cells in a dose-dependent way and inhibited the ligand-driven expression of AR-regulated genes PSA and TMPRSS2. Also, AZD3514 reduced AR protein expression in a dose-dependent way . In male Copenhagen rats with prostate tumors, Oral treatment of AZD3514 (50 mg/kg) once daily inhibited tumor growth by 64%. Also, AZD3514 reduced nuclear AR protein expression. In the Dunning R3327H tumor model, treatment with AZD3514 significantly reduced AR staining in the nucleus of tumor cells, which were caused by reducing the rate of AR synthesis .
. Bradbury RH, Acton DG, Broadbent NL, et al. Discovery of AZD3514, a small-molecule androgen receptor downregulator for treatment of advanced prostate cancer. Bioorg Med Chem Lett, 2013, 23(7): 1945-1948.
. Loddick SA, Ross SJ, Thomason AG, et al. AZD3514: a small molecule that modulates androgen receptor signaling and function in vitro and in vivo. Mol Cancer Ther, 2013, 12(9): 1715-1727.